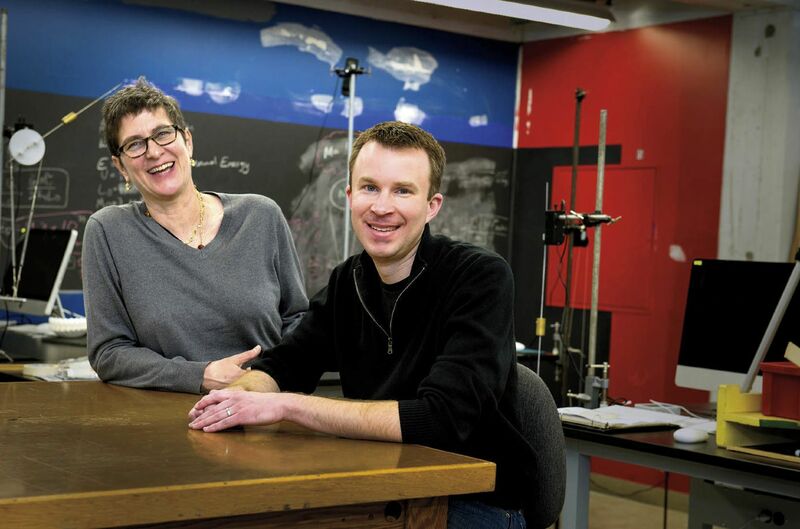 The SciBox, as its creators named the sprawling, 2,500-square-foot-space, is the stage for a few of the diverse new pedagogical experiments exploring the possibilities of experiential education—part of Harvard’s broader interest in testing new ways of teaching and learning. Though the edX online learning partnership with MIT has attracted the lion’s share of attention and institutional support, experiential education—sometimes referred to as hands-on learning—also plays a role in this University priority, inaugurated in 2011 with the Harvard Initiative for Learning and Teaching (HILT), and now a theme of the capital campaign. Because the definitions of “making” and “doing” vary widely by discipline, experiential education has taken diverse forms, under similarly diverse auspices, across Harvard. As part of the Prison Studies Project, for instance, students learn about criminal justice alongside prison inmates. In a class on African-American popular music, guest workshops funded by the Elson Family Arts Initiative teach students to sing and dance in the style of Motown and funk. One year, students were instructed to help Massachusetts law-enforcement officers find new ways to deal with a gang problem. “Students spent numerous hours with the Springfield police, following them around, being able to be in helicopters over Springfield—actually experiencing what the police were experiencing,” says Murray. Through an iterative process, they worked with the police to define problems and design potential solutions—for instance, a software platform that used police data to map and analyze crime—and gained new skills along the way. “It’s very important,” says Murray, “that you have the confidence to address problems and not be afraid that you don’t have the background.” A major goal of the SEAS campaign is to fund more such hands-on experiences, she says, and to create “design studios” with equipment and space for students to take on larger projects like building robots and cars. An SEAS faculty committee advising on the design of the school’s new quarters in Allston focused at length on the reconceived teaching spaces required to support this kind of learning (see http://harvardmagazine.com/2014/02/envisioning-science-and-engineering-in-allston). In the humanities, new spaces are allowing students to participate in art-making practices. Some artistic applications are coincidental—last year, the SciBox hosted a dramatic production—while others are more deliberate. In the HILT-funded Sound Lab, for instance, students have access to equipment and software for composing, recording, and editing music. In “The Art of Listening,” one of three new introductory courses in the humanities (see “Toward Cultural Citizenship,” page 35), students use this equipment to create mix tapes and soundscapes that explore the possibilities of everyday sounds.